For most Americans, the average commute is less than 90 minutes. However, extreme commuters exist on either end of this spectrum, with telecommuters (who work from home) experiencing no travel time and so-called “super commuters” traveling over 90 minutes to their jobs. 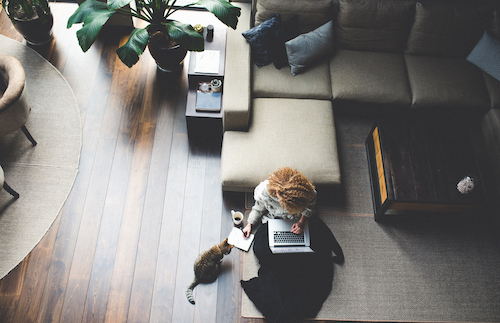 Perhaps surprisingly, according to a new report from Apartment List, people who work from home are 27 percent less likely to be renters than the general population, and super commuters are 14 percent less likely. At the same time, Apartment List found telecommuters earn an average of 28 percent more than traditional commuters; making a median income of $55,000 per year. Super commuters earn 20.9 percent more than average, with a median income of $52,000 per year. Both super commuting and telecommuting are becoming more popular, although both tend to be concentrated in certain cities. Since 2005, the number of Americans who work from home has increased 76 percent, while the ranks of super commuters have grown 32 percent. Much of this growth has been in tech hubs in the West and Northeast. Recent data from the U.S. Census Bureau shows decreasing rental rates and a rise in homeownership all over the U.S. According to the Mortgage Bankers Association, this past year has had the largest annual increase in owner occupied households since 2004, with 1.6 million additional homes. Conversely, rental rates have shown a decrease over the past couple years, a trend also reflected in the practices of extreme commuters. While these commuting outliers may not be the only reason for the increase of homeownership and the decrease of rentals, they are playing a definite role in the housing market.